Stripes project for Doug Johnston's Surface Design class. 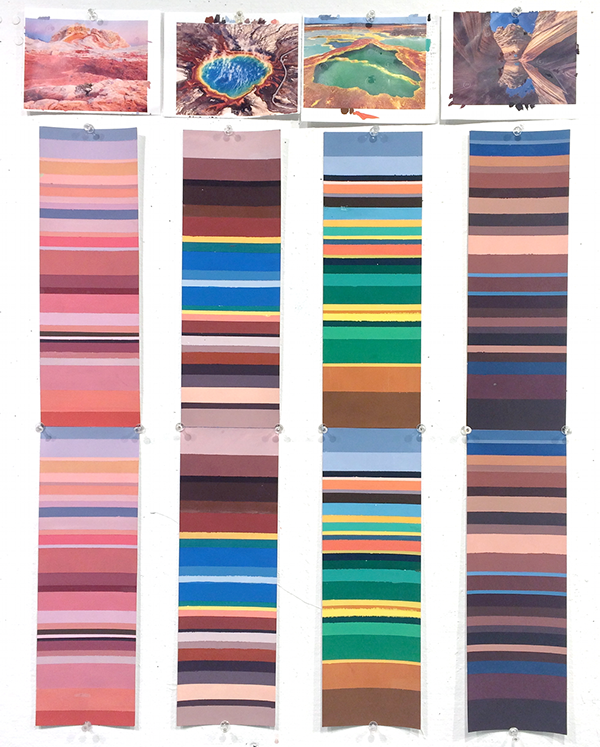 Colors and proportions of stripes were based off of landscape photos. 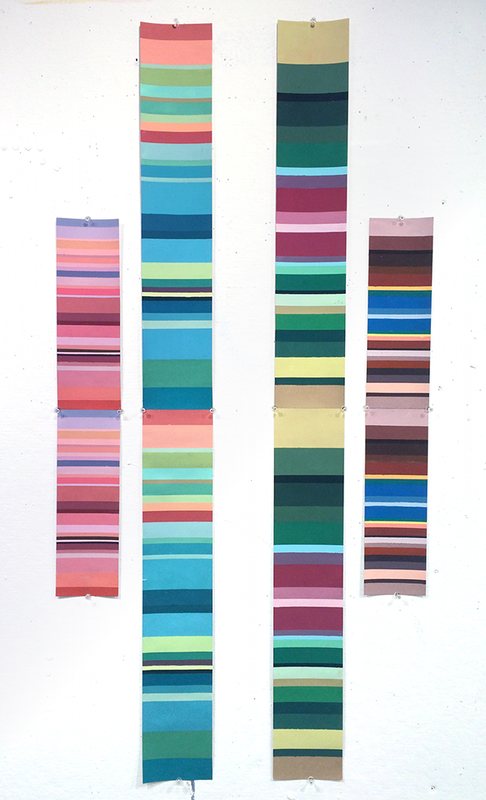 Stripes were painted in gouache, then cut in half; the two halves were then joined to demonstrate their repeat. Two of the four original stripe designs were duplicated at 2x scale in contrasting color schemes.